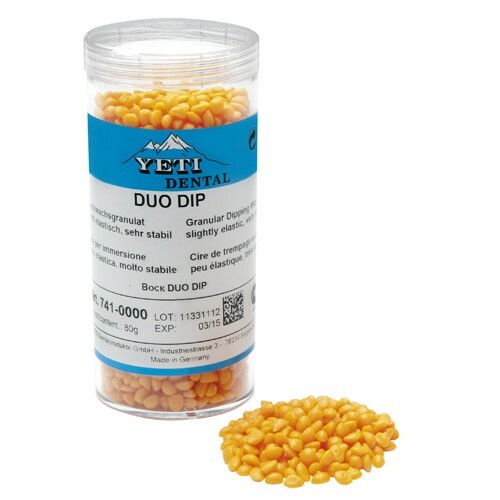 DUO DIP is a ready for use wax mixture for everyday work. Smooth and rounded form of grains allows fluent melting of wax granulate. Dipping pot can be filled quickly, clean and fast with exact wax quantity. 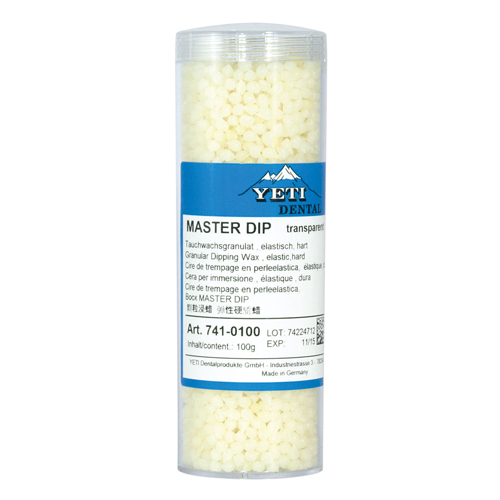 MASTER DIP offers a new dimension in strength and stability. Rapid cooling allows for quick build-up of a stable and accurate coping. As dimensionally stable as a resin, Master Dip provides for a highly accurate casting. A granulate wax available in natural transparent and orange. With an elastic memory, this wax is hard without being brittle.